Carbon Screened Power cable is about the most and best costet effective upgrade you can get on a system. 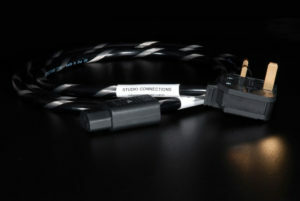 This very efficient cable is awards Outstanding Product at range has been developed to work as a system in order to get an audio system to operate at its best; and getting the power cabling and distribution right is right at the heart of this. We investigated in home set-ups, live theatre and recording studio to know how power and signal cables interact with equipment and how a cable set up can dramatically alter how realistic a system reproduces sound [click for more about this].